If you have a job that requires you to be on your feet for long hours, you should understand the importance of having comfortable footwear. While fashion is important too, having uncomfortable shoes can make being on your feet unbearable. This is especially true seeing as how an average adult takes 4,000 to 6,000 steps each day. So to help make sure your feet are as supported as possible, here are a few great tips to find comfortable shoes for work. First off, when you go to try on shoes, you should always go in the afternoon or evening if possible. Your feet swell throughout the day and are at their biggest later in the day -- so by trying on shoes when your feet are at their biggest, you can ensure shoes won't pinch when your feet swell. Additionally, you should always be wearing the socks you wear to work when you try on shoes. If you wear thick socks for work but try shoes on while wearing thin socks, the shoes will be too tight when it comes time to wear them. All in all, it's important to be mindful of things like this when trying on shoes. You should also be aware of the kind of arch your foot has. Some people are more flat-footed while others have very high arches. Your arch can determine what kind of shoes you should be wearing or what kind of soles you need. With the right arch support, you can relieve pressure in your feet, correct alignment issues, and help evenly spread the impact of your steps. So while it's certainly important to be aware of your shoe size -- even the width -- knowing your arches is just as important. And speaking of shoe size, it's important to not rely solely on shoe sizes. 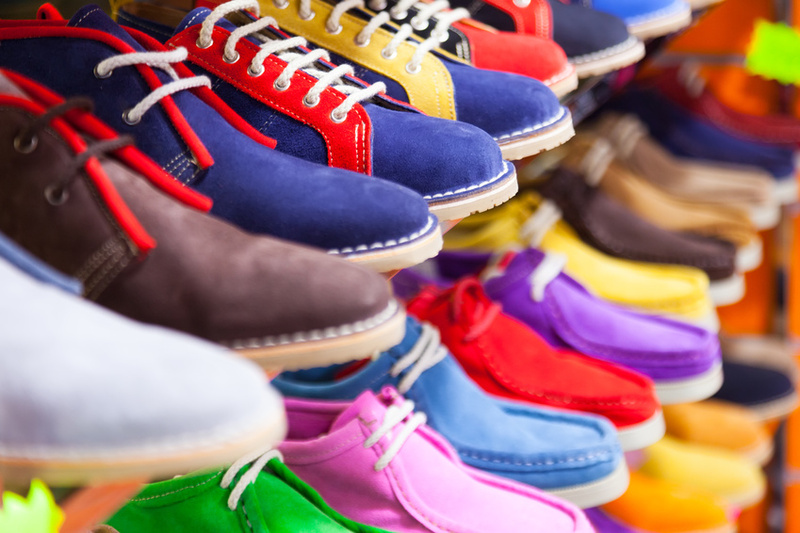 Different shoes fit in varying ways, so it's crucial to base your choice on comfort rather than strictly on size. When you go shoe shopping, you should always have your feet measured by a staff member to give you a good starting point. But from there, you should go with what's comfortable. You may have to go up or down a size depending on the style and the fit of the shoe. Comfortable shoes are important for employees like construction workers, athletic coaches, and medical professionals -- even though dentistry is considered one of the 10 most trusted professions, that doesn't mean dental staff has to forgo foot comfort. So no matter your profession, keep these easy tips in mind to ensure you'll always have comfortable shoes. This way, foot pain can be one less thing you'll have to worry about.